Thanks to all who made this contest a success. Our surfers, family & friends, our volunteers & judges, Broq for the awesome goodies, KKrows, and Core Surf! Congratulations to Jonathan Wallhauser for earning the Hot Wave award! Always give thanks and Happy Thanksgiving to everyone! 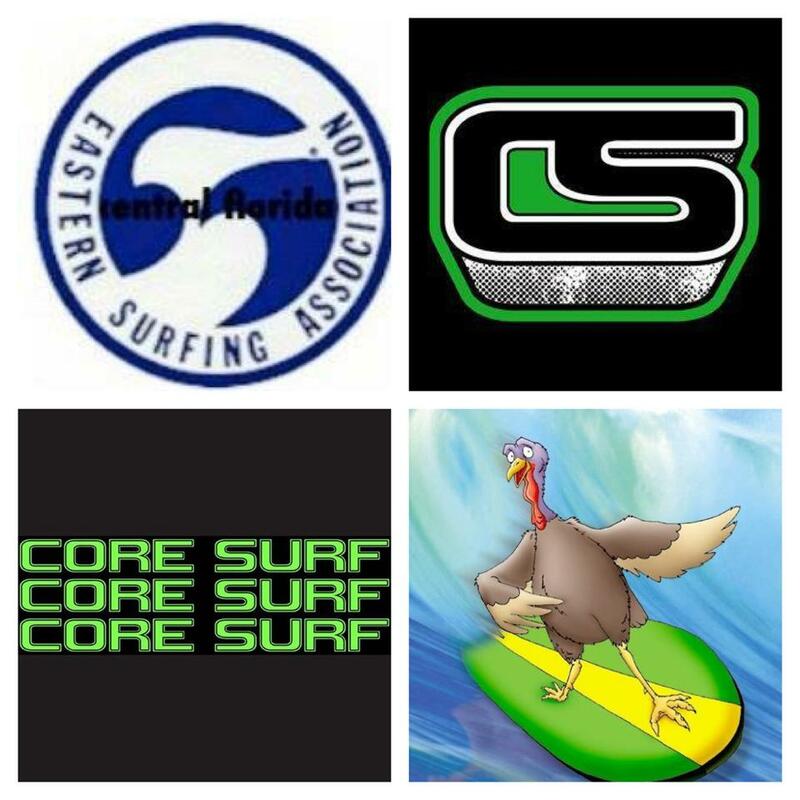 Come to Howard Futch Paradise Beach Park in Melbourne Beach and the CFL ESA “Core Surf” Presents “Give Thanks & Surf” Contest 5 of the 2015 Season Saturday November 21, 2015 at Howard Futch Paradise Beach Park in Melbourne Beach. Come have fun and earn valuable ranking points for qualifications for Easterns!